Things are super crazy hectic at the moment, I have so much to do, so much on my plate and so much to catch up on…and as you may have noticed I haven't been blogging as often as before. It's time for me to sort things out and just priorities certain things over the blog at the moment. One of the things I am also doing is being a columnist for Aquila Style, so I'm still very much active in the online world! 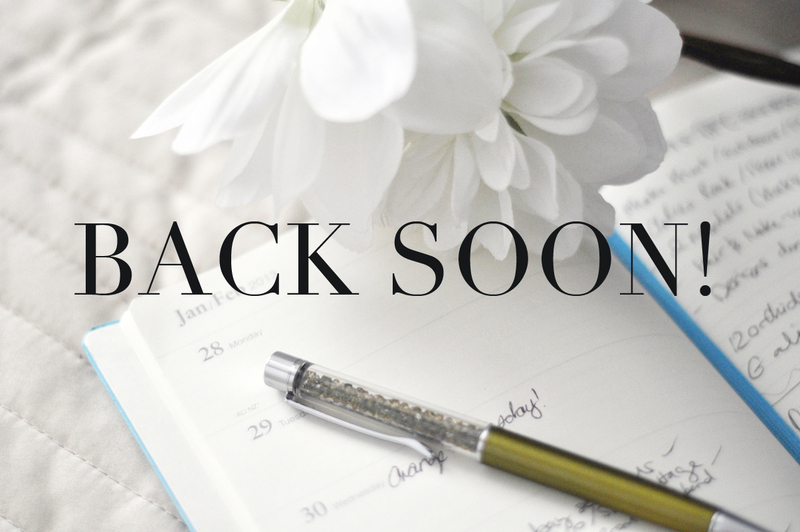 I will of course not stop or abandon my blog, just taking a quick break from it until further notice! My social network sites such as Facebook, instagram, tumblr and twitter will be fully active as always (with those stuff it's so much easier, cause it's all on my phone and just a button away). So keep in touch through my other sites while this blog takes a break and perhaps gets a redecoration! See you on the flip side (aka Facebook, instagram, tumblr and twitter )! 1 Response to BACK SOON!